Just a quick clip from Thursday night’s Choral Collage (October 20, 2016). Here, the Westborough Choral Union rehearses “Make Them Hear You” from Ragtime. Featuring soloists Jonathan Twomey and Isac Vieira. 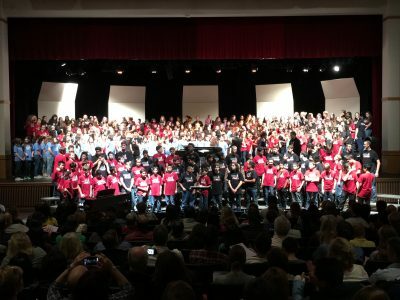 The evening featured performances by Mill Pond 6th Grade Chorus, Gibbons Middle School Chorus and several groups from Westborough High School. Watch the full concert here.